The MyBag is the hottest, trendiest and most charismatic bathroom washbasin you could ever own! 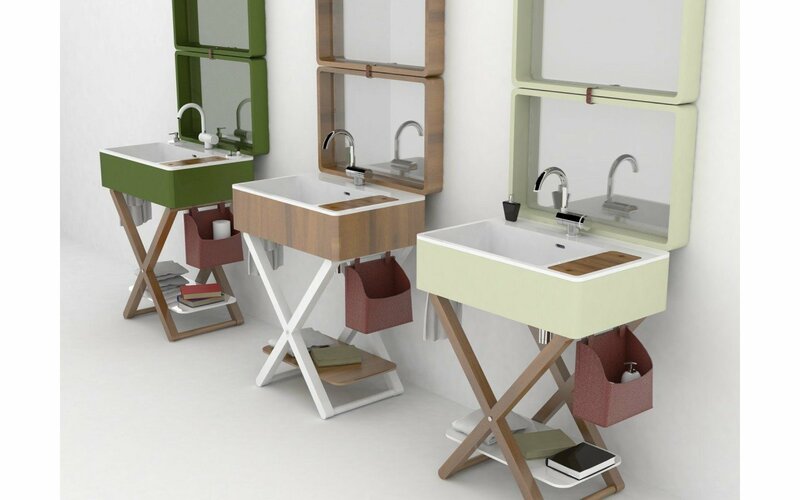 This insanely unique, super functional and adorably stylish bathroom washbasin, is an artist and travelers dream come true! 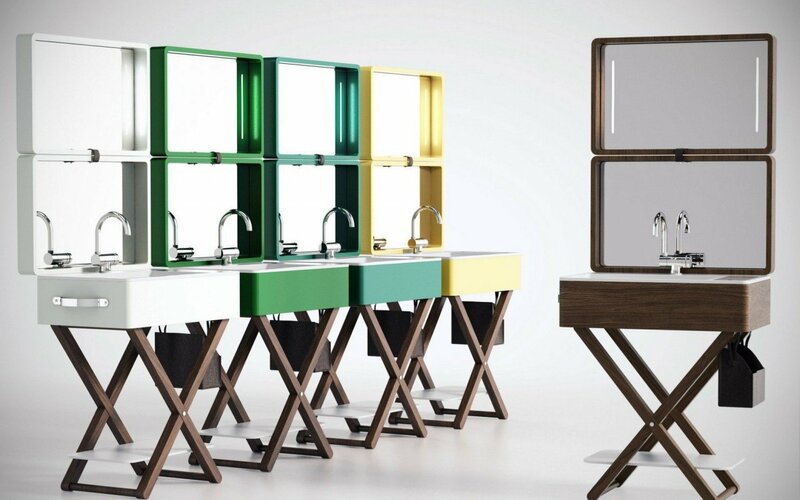 Show off your artistic and wanderlust side with this dynamic washbasin in your bathroom. The Aquatica MyBag Full Composition Washbasin Set will take your bathroom on an 'adventure' though complex, bold and absolutely innovative design, where you'll not only experience a washbasin that's amazingly efficient to use but, also create a focal point for your bathroom's unique look! 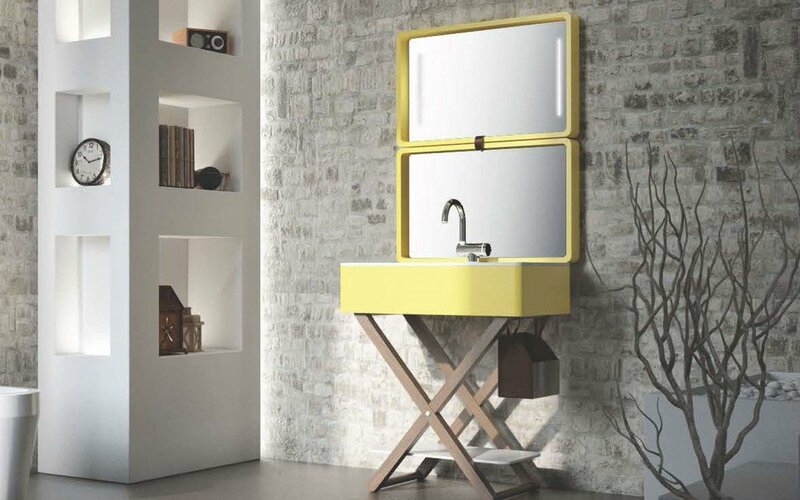 This wanderlust inspired washbasin is composed of a ceramic inner washbasin piece which sits inside of a basin suitcase , which also includes a mirror set on the inner part of the suitcase, plus, this suitcase can actually close. The entire suitcase sits on top of an extremely strong and sturdy wooden frame , which also has a bottom shelf piece for extra storage. The MyBag is the hottest, trendiest and most charismatic bathroom washbasin you could ever own! This insanely unique, super functional and adorably stylish bathroom washbasin, is an artist and travelers dream come true! 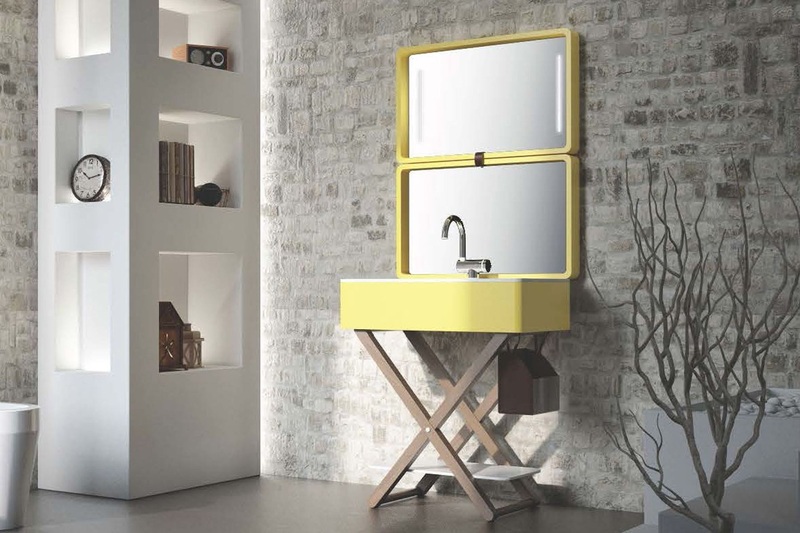 Show off your artistic and wanderlust side with this dynamic washbasin in your bathroom. The Aquatica MyBag Full Composition Washbasin Set will take your bathroom on an 'adventure' though complex, bold and absolutely innovative design, where you'll not only experience a washbasin that's amazingly efficient to use but, also create a focal point for your bathroom's unique look! This wanderlust inspired washbasin is composed of a ceramic inner washbasin piece which sits inside of a basin suitcase, which also includes a mirror set on the inner part of the suitcase, plus, this suitcase can actually close. The entire suitcase sits on top of an extremely strong and sturdy wooden frame, which also has a bottom shelf piece for extra storage. The sheer joie de vivre that is the essence of My.Bag is rendered beautifully in the glorious, contemporary standout colors chosen by its designers. Each is an out-of-the-ordinary interpretation of its name - Ice, Green, Turquoise and Yellow, combining contemporary and retro flavors that make a delightful fashion statement in any bathroom. If vibrant color is not your genre, then choose the richly grained tones of dark wenge wood finish for your totally innovative basin suitcase, mirror and matching wall mirror. 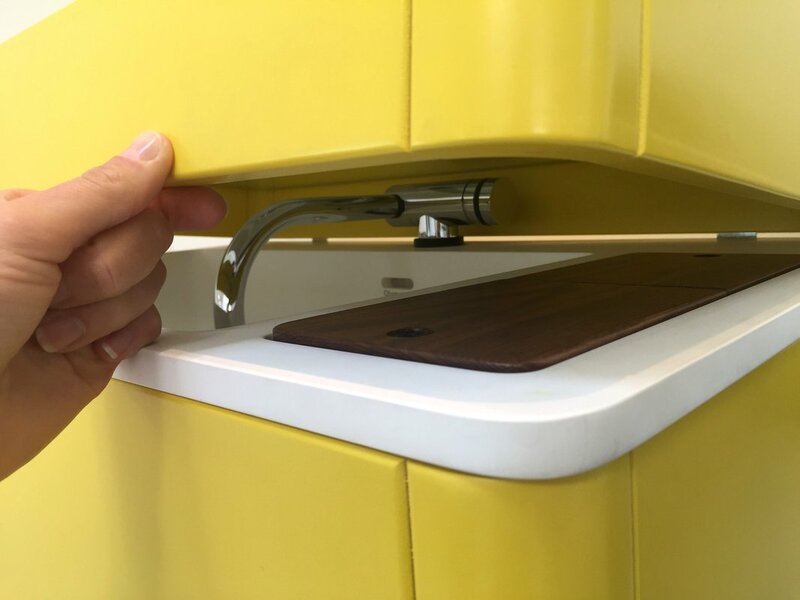 Absolute innovation and uniqueness aside, one of the other outstanding features of the My.Bag concept, is that the entire basin and components come as one, for the one price. The basin ‘suitcase’ arrives and when opened, reveals the foldaway mixer tap and the small compartment cover/make-up mirror. The case lid becomes the main mirror. This comes with the base stand with storage shelf, chrome waste, wall mirror with integrated LED lighting and stylish leather ‘toilet’ bag with hooks for storage of bottles, brushes, razors and more. All that is required is plumbing installation of the tap and waste. The lustrous tones and distinctive grain patterns of the wood used in this standout bathroom concept are the perfect counterpoint for the vibrant colours of the basins. This is evident in the basin stand - simple, clean lines in the dark exotic wenge wood hues or the more honeyed ash, offset by the useful white MDF storage shelf. Also available in either wenge or ash is the side basin compartment cover. This acts as a lid for those bathroom accessories you can store in the compartment and folds up to become an additional makeup mirror.